William Sinclair died at Roadside Lybster 6th May 1941 aged 90. Wife Jean Bain died 13th February 1913 aged 58. 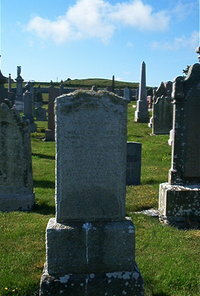 Wife Catherine Crombie died 16th November 1930 aged 67.